Located above the peaceful gardens with a romantic view of the Grand Canal. You will be hard pressed to find a more picturesque place to stay in Venice, Italy. 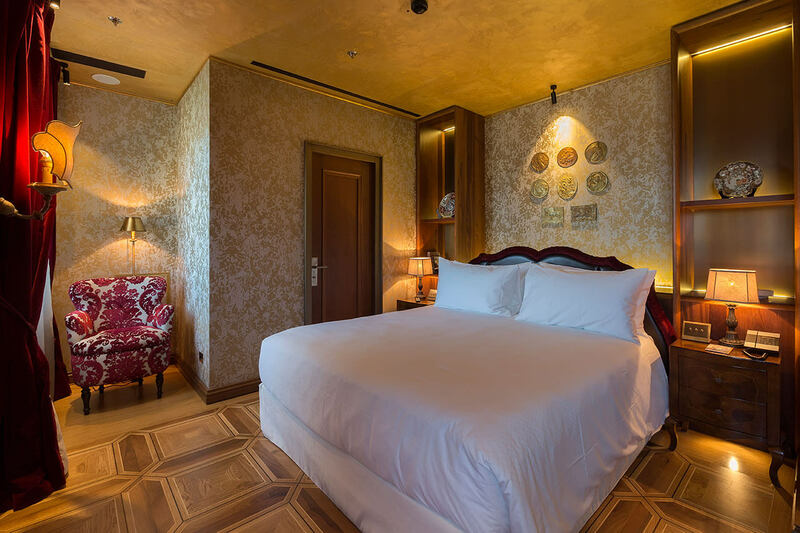 For an unforgettable stay in incomparable luxury, choose a Grand Canal suite - complete with wooden parquet floor, ornate furnishings and stunning décor. 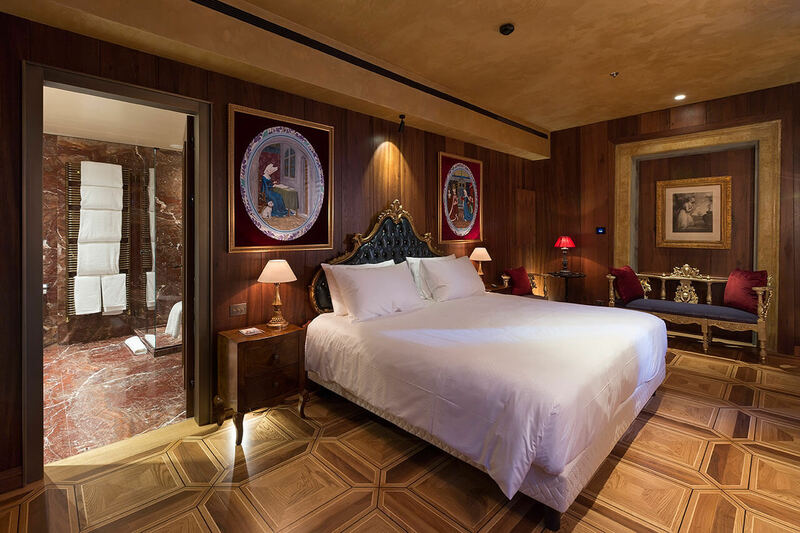 The suite has a separate well-appointed lounge area, and has been individually designed, and renovated to reflect the majestic past of this noble Palazzo. A generous size at an average of 50m2 (538 ft2), the Grand Canal Suite include luxurious furnishings, featuring a king sized bed, abundant toiletries, complimentary mineral water at turndown, international satellite TV and Wi-Fi. For direct bookings of a Grand Canal Suite (with a minimum stay of 2 nights) we include in the room rate VIP (Venart Important Person) treatment consisting of 50€ F&B credit to enjoy the unique food experiences at our GLAM restaurant, awarded with one Michelin Star.